A unique and fun way for your children to improve their English skills outside of the classroom with various themed lessons. Children spend less time outside than inmates according to Robin Mellecker of the University of Hong Kong’s Institute of Human Performance. Is there any hope for a better learning environment? Aileen Valentine, Director at Wise Choice Education, says there is. And, therefore, is introducing the concept of ‘The Fun Boat’ – crowdfunding now on Next Chapter, Hong Kong’s only crowdfunding platform for female entrepreneurs. Wise Choice Education, by inviting privileged and underprivileged children to take part in sponsored educational outings in Hong Kong, hope to build community and expand awareness. The organization has also formed a charitable society called the Wise Choice Children’s Society through which supporters can donate to provide a spot on The Fun Boat for an underprivileged child. In addition, 25% of all future sailings will go to the Society to fund further spots on The Fun Boat for these kids. Each outing will be planned and chaperoned by professionals from the Hong Kong community. Wise Choice educators will take the lead in producing and licensing educational materials that can be effectively and efficiently understood during the day. 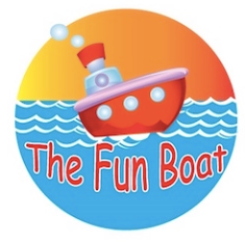 The Fun Boat’s first sailing is expected to be in June and will operate two sailings every Saturday. The morning sailing will be for children aged 8 – 12 and the afternoon sailings will be for children aged 13 – 16. In future, they plan to hold training sessions for adults during the working week too. The primary focus will be on building participant’s confidence in their ability to learn and master English. The secondary focus is to encourage children to explore, be creative, and think critically while nurturing a healthy respect for honest expression and communication skills. Once the language is in their body they’ll never forget it and their capacity to effectively communicate is set free. Explore, understand, communicate and achieve! A unique and fun way for your children to improve their English skills outside of the classroom with various themed lessons. This program is being launched by Wise Choice Education a reputable English language centre in Hong Kong.